1972-75 is a collection of songs that should have been the second album from Danish progressive rock act The Old Man & the Sea plus a few archive gems. 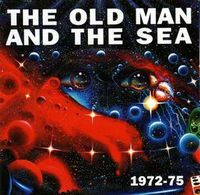 Sadly in 1975 The Old Man & the Sea was dropped by CBS even before releasing anything on that label and it meant the end of the band as they couldn´t get another deal. When you listen to this album it´s hard to understand why though as the compositions are well written and the the musicianship is excellent. Some of the songs on 1972-75 also appear on the bootleg album called the white album together with some unreleased live songs from when the band re-united for a short period in the nineties. The music lies somewhere between the early symphonic prog of Yes and the more hardrock prog of Kansas ( add a bit of Deep Purple to the mix and you´re just about there). The music is a bit more simple than the music of both Yes and Kansas though. There are many hardrock guitar riffs on the album as well as some very dominant organ playing. One of the biggest assets besides Tommy Hansen´s excellent organ playing is the vocals from Ole Wedel who is a very strong singer with a great voice. Tommy Hansen and Knud Lindhard´s backing vocals are also very strong. All lyrics are sung in English. All songs are really good but I have to mention the instrumental synth dominated Love 77 as it´s a really great song that I very much enjoy. The Sea of Green part 1 and 2 are also pretty special as it´s actually a reworking af a track from 1972 where Tommy Hansen has only used the original drum tracks. It´s one of the more progressive songs on the album. Nasty backbone is another favorite of mine. 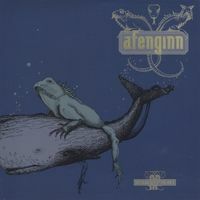 The musicianship is really strong and they have to have been one of the best playing bands in Denmark back then. The production has been kept true to the seventies when these songs where recorded and it´s a great sound IMO. For all the praises I can say about The Old Man & the Sea, this is just not my kind of music and I can´t give 1972-75 more than 3 stars even though it might deserve more if you´re a fan of the band or more interested in the style. Post a review of THE OLD MAN & THE SEA "1972-75"